Middlebury, VT—In 1968, Middlebury College began the formal purchase of works of art as a way to augment the teaching of the visual arts. This process was made possible by the enormous generosity of the Christian A. Johnson Endeavor Foundation, which not only provided funds for the Christian A. Johnson Memorial building (which housed a new gallery space), but also provided funds to create a permanent art collection for Middlebury. Over the past fifty years the art collection at Middlebury has grown to nearly 6,000 objects that range from the antique to contemporary and include works in a great variety of media from different cultures around the world. Many of these works have come as gifts and bequests from alumni and friends, while others have been purchased with funds made possible by eleven endowments specifically dedicated to art purchases. In addition, contributions by members of the Friends of the Art Museum (FOAM), whose gifts are largely restricted to the purchase of a work of art (announced annually at a party in November) have played a significant role in the expansion of the collection. This exhibit features fifty works—one from each year back to 1968—which chronicle the growth and evolution of the collection. 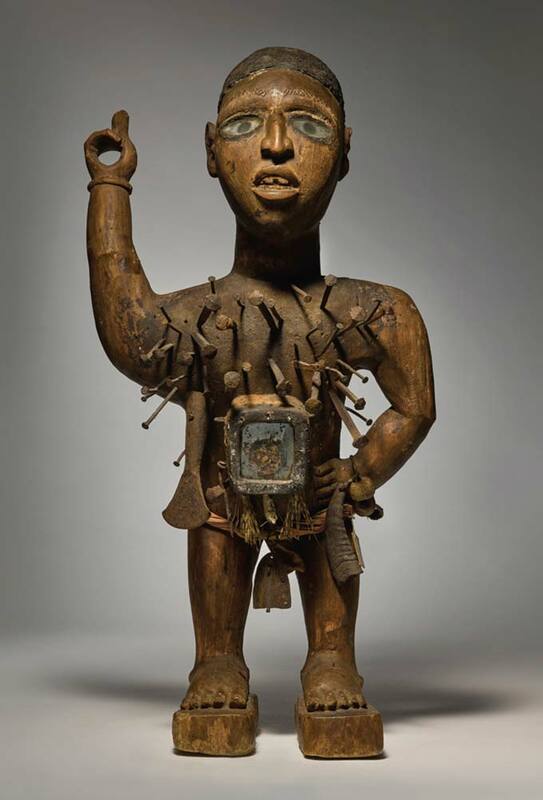 These works range from the 17th century painting of Saint Sebastian by Bartolomeo Bassante, purchased in 1968, to a nineteenth-century Kongo Power Figure, acquired last year, and on view for the first time in this exhibit. Other works in the exhibit include one of the first photographs of the moon, created in 1851 by Boston photographer John Adams Whipple; a Fabergé frame from 1910, given to Middlebury by descendants of Czar Nicholas II; Edward Hopper’s 1938 watercolor Vermont Sugar House; and Kara Walker’s portfolio Harper’s Pictorial History of the Civil War (Annotated), 2005. The exhibit is also timed to coincide with the publication of the first Handbook of the Collection, which will be available in June 2019. John Adams Whipple, The Moon, August 6, 1851, 1851, daguerreotype, 3 1/2 x 2 3/4 inches. Middlebury College Museum of Art, purchase with funds provided by the Christian A. Johnson Memorial Fund and the Overbrook Foundation, 1989.009. Medardo Rosso, Bimbo Malato (Sick Boy), 1893, wax and plaster, 10 1/2 x 9 3/8 x 7 inches. Middlebury College Museum of Art, purchase with funds provided by the Christian A. Johnson Memorial Fund, 1979.036. Anonymous (American), Occupational Daguerreotype of John Deere, c. 1855, daguerreotype, 3 x 4 inches. Collection of Middlebury College Museum of Art, purchase with funds provided by the Electra Havemeyer Webb Memorial Fund, 2016.012. Firm of Fabergé (Russian), Tenth Anniversary Frame, c. 1910, coppered silver and miniatures on ivory, 7 3/8 x 6 1/16 x 1/2 inches. Collection of Middlebury College Museum of Art, gift of Nancy and Edward Wynkoop, 2001.022. Edward Hopper (American, 1882–1967), Vermont Sugar House, 1938, watercolor on paper, 13 ½ x 19 ½ inches. Collection of Middlebury College Museum of Art, gift of Louis Bacon’79, 2016.169. Kara Elizabeth Walker (American, b. 1969), Exodus of Confederates from Atlanta, from Harper’s Pictorial History of the Civil War (Annotated), 2005, offset lithography and silkscreen on paper, 39 x 53 inches. Collection of Middlebury College Museum of Art, gift of Kathy and Richard S. Fuld, Jr., 2008.015.03. Dawoud Bey (American, b. 1953), Toussaint and Terrell, 1995, Polaroid (diptych), 2 parts, each 30 x 22 inches. Collection of Middlebury College Museum of Art, purchase with funds provided by the Contemporary Photography, Film, and Video Acquisition Fund, 1999.012. Frederic Remington (American, 1861–1909), Down the River on a Golden Morning, 1896, oil on canvas (grisaille), 27 1/8 x 40 1/8 inches. Collection of Middlebury College Museum of Art, gift of George Hood Helmer and Hamilton Wright Helmer in memory of their great great uncle George Murray Wright, Class of 1874, Trustee, 1998.021. Bartolomeo Bassante (Italian, 1618-1648), Saint Sebastian, 17th century, oil on canvas, 42 x 32 inches. Collection of Middlebury College Museum of Art, purchase with funds provided by the Christian A. Johnson Memorial Fund, 1968.017. Anna Stanchi (Italian, active c. 1643), A Still Life with Tulips, Irises, Daffodils, Carnations, Hyacinths, and Other Flowers, All in a Glass Vase on a Stone Ledge with Ladiebug, 1643, oil on canvas, 22 3/8 x 18 ¼ inches. Collection of Middlebury College Museum of Art, purchase with funds provided by the Friends of Art Acquisition Fund and the Reva B. Seybolt ’72 Art Acquisition Fund, 2016.101. The Middlebury College Museum of Art, located in the Kevin P. Mahaney ’84 Center for the Arts on Rte. 30 on the southern edge of campus, is free and open to the public Tues. through Fri. from 10 a.m. to 5 p.m., and Sat. and Sun. from noon to 5 p.m. It is closed Mondays. The museum is physically accessible. Parking is available in the Mahaney Center parking lot. For further information and to confirm dates and times of scheduled events, please call (802) 443–5007 or TTY (802) 443–3155, or visit the museum’s website at museum.middlebury.edu.